Whether you’re the no-makeup look fan, the contour queen, or only use makeup out of necessity, we can all agree that cosmetics can be quite costly. From the makeup primers to the last bit of mascara, makeup takes a chunk out of your budgets depending on how much you love your cosmetics. 1.Use online voucher codes. The days of cutting coupon codes out of magazines and newspapers are long gone. Nowadays, all you need is mobile phone and you can hunt down online bargains for brands such as allbeauty. There’s really no need to be paying full price when you can save as easy as that. 2.Always go for quality over brands. Just because your favorite reality star says she uses a certain brand of lipstick everyday does not mean you should use it or that it’s the best brand you can ever lay your hands on. Look for ‘dupes’ or cheaper alternative brands that contain the same ingredients. Check your drugstore for these substitutes - you’ll be surprised at how much money your local drugstore brands can actually save you. 3.Invest on the long term. If you ever go the length of purchasing a more expensive cosmetic item, pick out the ones that you’ll be using daily and for a long time. Case in point: your makeup brushes. The right kind of brush will not only last you years - they will also make sure that your makeup will always be on point. Pick your splurges, so to speak. 4.Some items are not worth the brands. Some items in your kit don’t need to be the most expensive kind. Mascara is a great example of this. Mascara will look good as long as it’s properly applied and there’s hardly any difference between your cheap mascara and your high end mascara wand brand. Besides, no one will notice the mascara so much when you put on falsies anyway. Splurge on items that are noticeable instead! 5.Buy multipurpose items. Blush gel for lipstick? Eyeshadow to contour? BB Cream as foundation and concealer? Tons of makeup products can be used multiple times and you don’t have to buy an entire kit for every inch of your face! 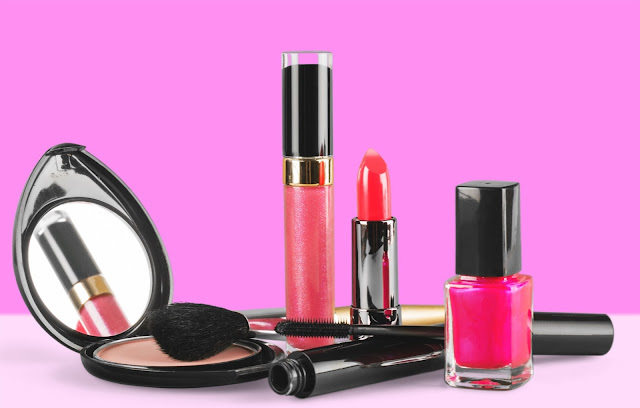 Check out makeup hacks on the internet to learn more about which items can be swapped for what. 6.Spend only on things that you actually use. You don’t need the contour kit of the entire Kardashian clan if all you ever use is lipstick and blusher. Buying cosmetic items just because you needed them once or because you thought it was nice is a great way to throw away your cash. Buy only the things that you actually use - and don’t buy a new one unless you need it and will actually use it. 7.Grab your samples shamelessly. If your local store is giving away samples, by all means take as many as you’re allowed. The samples are not only great for actually trying out new items without paying for them; it actually gives you something that you can use several times without having to spend on an entirely new set or item. You don’t have to break the bank trying to look cute! Try out these cool makeup saving tips today!